There haven't been any winners in the Mega Millions of Powerball lottos. It's time to buy a lottery ticket, again. There were no winners in either the Mega Millions or Powerball drawings, increasing the winnings for both to more than $2 billion. 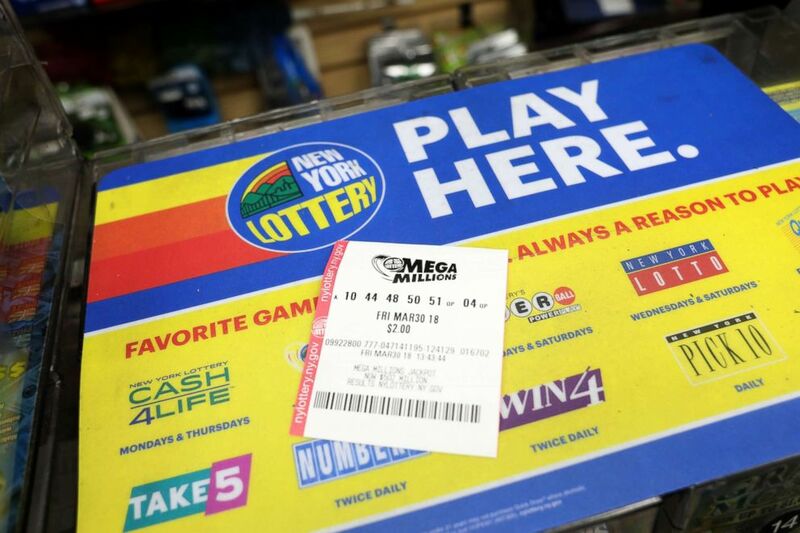 The Mega Millions jackpot alone has soared to $1.6 billion with a lump sum of $904 million. 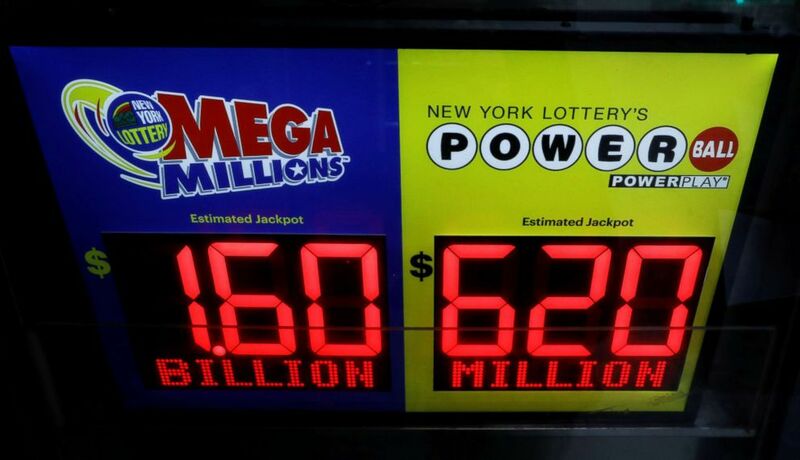 "We're in unchartered territory," Gordon Medenica, Mega Millions' lead director and the director of Maryland Lottery and Gaming, told "Good Morning America" Saturday. The next Mega Millions drawing will be Tuesday at 11 p.m. ET. "Hold on to your hats!" Medenica said. "It could go up even further." When asked if the grand prize could hit a shocking $2 billion, Medenica responded, "Anything's possible." "I don't want to jinx it," he added. The numbers drawn Friday night for the second-largest lottery prize in U.S. history were 15-23-53-65-70 and a Mega Ball of 7. A single winner taking the cash lump sum would have received about $565.6 million. (Emilie Richardson/ABC News) The Mega Millions lotto drawing is up to $521 million, March 30, 2018. There were a number of smaller winners in Friday's drawing, including 15 people who won at least $1 million for matching each white ball. New York had the highest number of second-prize winners with four. One ticket in Texas was worth $2 million for matching all five white balls and doubling the total with the Megaplier. The previous record for a lottery drawing was a $1.59 billion windfall for the Powerball in January 2016. That jackpot was split three ways. (Brendan McDermid/Reuters) Signs display the jackpots for Tuesday's Mega Millions and Wednesday's Powerball lottery drawings in New York, Oct. 22, 2018. At Penn Station in New York last week, commuters were snapping up lotto tickets. "That's the winning ticket, and if I do win, this is the last time you will ever see me in Penn Station. Thank you and have a good day,” Phil Sparacino, a lottery player, told The Associated Press. Some lotto hopefuls were even asking friends and family to get tickets for them. "It's really cool. I'm actually getting this for my mom. So my mom just called me to get the lottery for her. So yeah, I hope we win. We'll see,” Alexa Sibayan told the AP while on line waiting to buy tickets. 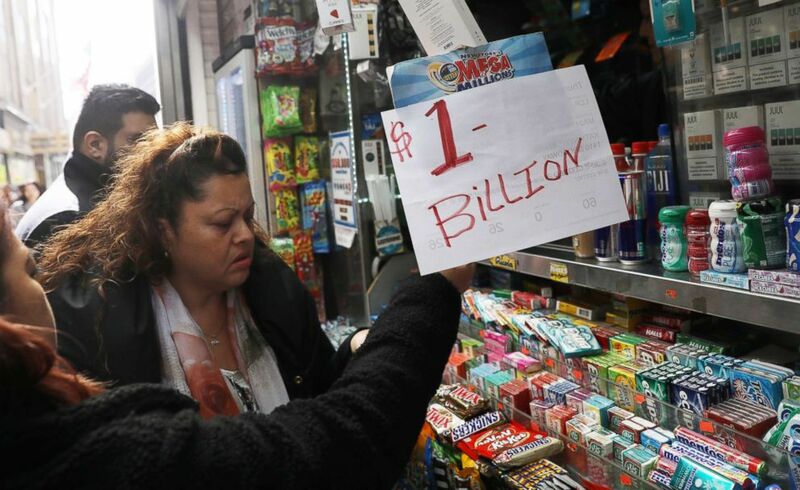 (Mike Sugar/Reuters) An impromptu "One Billion dollars" sign is on display as customers line up to buy Mega Millions tickets at a newsstand in midtown Manhattan in New York, Oct. 19, 2018. Some people already have a plan for the winning the grand prize. "We hope we win. We hope a lot of people win but ... if we do win, we want to give a lot of it away to charity,” Mel Kleinman told the AP. "It's busy, you see? It's madness going on,” Prajapati told the AP. Medenica said the jackpot has "become a national phenomenon because it's a positive story." "It's the dream that everyone has," he said. "Everyone asks themselves, 'What would I do?'" Meanwhile, the jackpot for Powerball skyrocketed to more than half a billion dollars after no one won on Saturday. The jackpot for the Powerball is now $620 million with a cash prize of more than $354 million, the third largest Powerball jackpot. The Powerball’s winning numbers on Oct. 20 were 16-54-57-62-69 with the Powerball 23, and Power Play multiplier 2X. 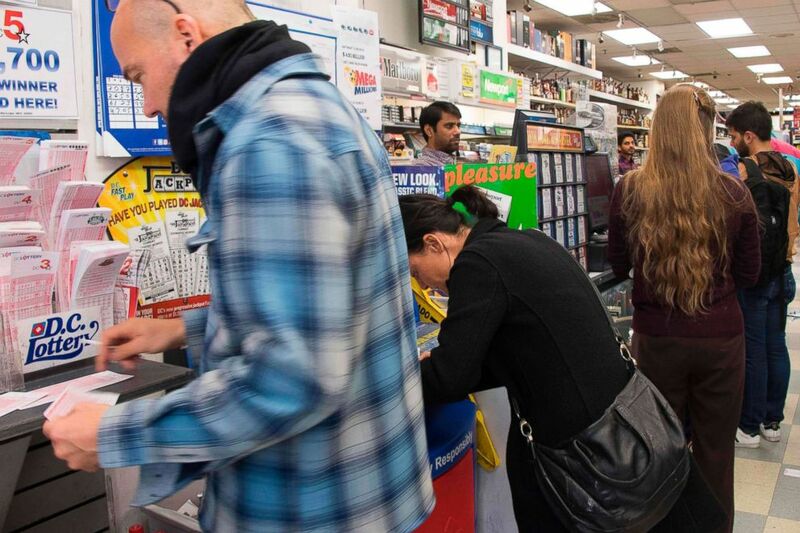 (Jim Watson/AFP/Getty Images) People stand in line to purchase Mega Millions tickets in Washington, on Oct. 19, 2018, as the jackpot nears one billion dollars. The next drawing for Powerball is Wednesday, Oct 24. 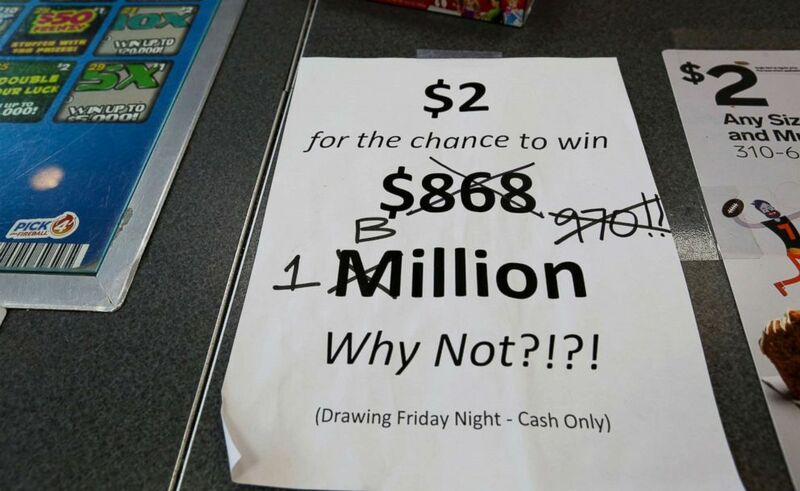 (Teresa Crawford/AP ) An updated paper sign is displayed the counter of a 7-Eleven store shows that the Mega Millions estimated jackpot has soared to $1 billion, as the second-largest prize in U.S. lottery history gets even bigger, Oct. 19, 2018, in Chicago. No one has won the Mega Millions jackpot since July 24, when a group of 11 coworkers in Santa Clara County, California, shared a $543 million jackpot.